The cockpit is where Byton seeks to innovate. Its upcoming SUV features a 49-inch display spanning the entire dashboard. SANTA CLARA, California — Silicon Valley has become the de facto launch pad for Chinese startups hoping to sell smart, electric vehicles in the U.S. The latest addition to the high-tech neighborhood is Byton. Headquartered in Nanjing, China, the brand born out of Future Mobility opened its North American headquarters here on Dec. 1, and will unveil its first vehicle at CES. With a mission to redesign the cockpit as a personalized digital experience for human and autonomous driving, Byton is building up a manufacturing base in China and forming partnerships with Tier 1 suppliers to begin sales of its first electric SUV by the end of 2019. "You have to focus at the beginning. You cannot do everything at the same time," Byton CEO Carsten Breitfeld told Automotive News. "Many people completely underestimate what it means to engineer and produce and industrialize a car." Breitfeld, a 20-year BMW veteran and German native who led the development of the BMW i8 plug-in hybrid sports car, founded Byton in 2016 with Daniel Kirchert, a fellow German who led Infiniti's China operations and now is the startup's president. The two seek to merge low-cost Chinese manufacturing, German engineering and Silicon Valley tech expertise into what the company describes as an affordable "iPhone on wheels." Breitfeld and Kirchert raised $240 million in a first round of funding from four Chinese investors, as well as initial investments from Byton's management team. The company is in its second round of funding, which it hopes to raise from U.S.-based and other global investors. 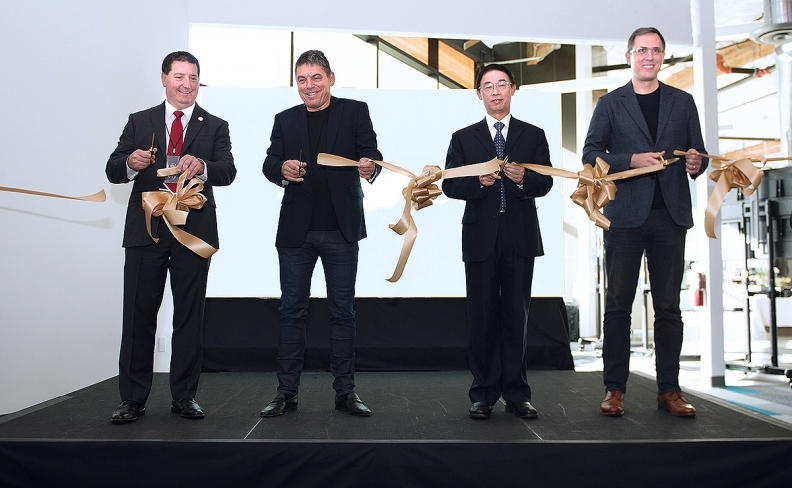 Byton CEO Carsten Breitfeld, second from left, and Daniel Kirchert, right, president of Byton, mark the opening of Byton's North American headquarters in Santa Clara, Calif., with local officials in December. “We have a global mindset,” says Kirchert. When it unveils its vehicle this month at CES, Byton will join an increasingly crowded field of Chinese startups looking to break into what's been an impenetrable U.S. market. The startup hopes to use major partnerships and Silicon Valley talent to be one of the first to break through. "We don't do fancy things, but the first product we bring to the market will hit the sweet spot in the market that you really can have volume and make money," Breitfeld said. Though headquartered in China and funded mainly by Chinese investors, Byton markets itself as a global company, with a design office in Munich and its new North American headquarters in Silicon Valley. "We are a company that's deeply rooted in China and deeply integrated in China, but at the same time we have a global mindset and are a global player," Kirchert said. Byton will manufacture its product line — its introductory electric SUV hitting the market in 2019, an electric sedan coming in 2021 and an electric compact SUV in 2022, all built on the same platform — in Nanjing. The plant is under construction with plans to begin production in 2019 with an initial capacity of 100,000, which the company expects to ramp up to 300,000 by 2023 or 2024, depending on sales. Byton hopes half of its sales will be in China, with the U.S. making up 30 percent of sales and Europe the other 20 percent. Kirchert said the startup has no plans to manufacture in the U.S. but is open to adding a production location here depending on sales success. It also boasts a diverse staff, with employees coming from Tesla Inc., BMW, Ford, Toyota, Delphi, Apple and Google. Byton is looking outside China for supplier partners as well. It is working with Germany-based Bosch on electric powertrains and brake integration, and French supplier Faurecia on seating and interiors. The company is also partnering with an unnamed company, which will be announced at CES, to integrate Level 4 autonomous driving into later vehicles. While much of Byton's proposed vehicles consist of the same bones as cars on the market today, the cockpit is where the startup seeks to innovate. "The name Byton comes from 'bytes on wheels,' so it somehow reflects our idea to make a computer on four wheels," Kirchert said. "The focus of the brand will be much more on the experience of the passenger on the inside." The startup offered a look at the interior of its upcoming SUV at its office opening, with a 49-inch display spanning the entire dashboard, an 8-inch touch-screen on the steering wheel and front seats able to rotate 12 degrees inward. 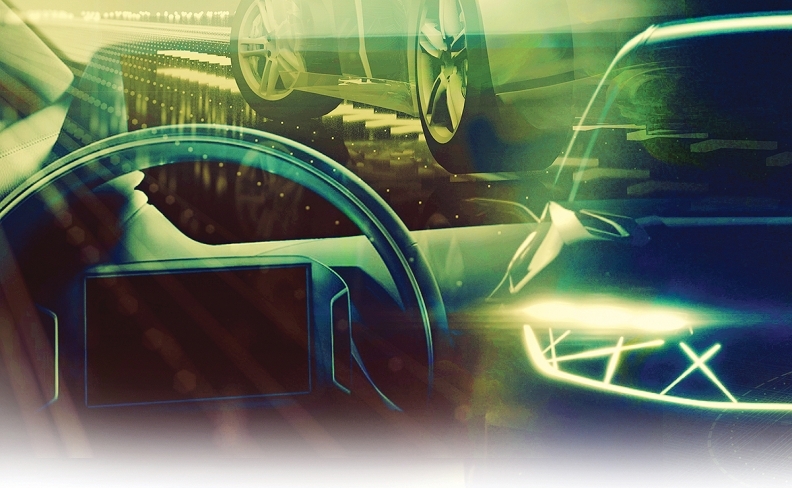 In a concept video, the car is able to recognize passengers and their individual preferences, and communicate seamlessly with other mobile devices like smartphones and smartwatches. Jeff Chung, head of Byton's intelligent car experience, said the expanded display will not distract drivers before the car is capable of Level 4 autonomy and can be adjusted to show as much or as little information as the driver and passengers prefer. He added that Byton is working with other consumer electronics companies to ensure personal devices can integrate with the vehicle. Breitfeld said the personalized digital experience for any passenger makes the vehicle attractive for sharing services such as ride-hailing and car-sharing. "This is a product that is prepared for shared mobility, and if you combine this with the logistics of companies like Didi or Uber or Lyft, then you can come up with an operation service for mobility which will fit even premium customers' needs," he said. "This will be big business in the future." With only $240 million in outside investments secured thus far, Byton has little wiggle room to meet its deadlines and turn a profit before it runs out of funding, joining stalled Chinese startups such as Faraday Future and LeEco. Breitfeld said it plans to sell its first vehicle for about half the price of the Tesla Model X, which starts at $79,500. This strategy relies on getting the China plant up and running by the end of 2019, with worldwide sales beginning shortly after. Byton has yet to secure a production permit from the Chinese government, which requires companies to prove their manufacturing capabilities in order to build electric vehicles in the country. Kirchert said the company has heavily researched the program and is in the process of obtaining the license to meet its production timelines. To ramp up production quickly, Breitfeld said Byton will bypass the soft-tooling stage, where automakers use temporary manufacturing equipment to test what will be needed for full-scale production. Tesla took a similar approach with the Model 3 and has already pushed back delivery timelines by a quarter. Breitfeld said by designing the car with a simple production process in mind from the beginning, Byton can avoid similar issues. "Problems in production aren't from a lack of production know-how," he said. "They're from problems present at the very beginning." Breitfeld, who said he was able to launch the BMW i8 in 38 months, said the short deadlines and funding limits have kept the company focused on its near-term goals, forcing it to avoid overreaching or overspending early in the development process. "We have to fight for our money to get it from the capital market. This means we have to convince the capital market," he said. "This can only be done based on achievements."